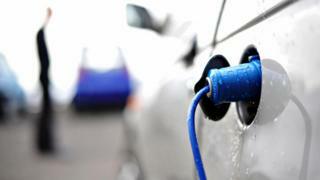 MEPs agreed that in future the vehicles must be fitted with devices to make them "sound similar" to cars with combustion engines. The BBC's Ben Wright in Brussels says the move has been welcomed by UK charity Guide Dogs for the Blind - which campaigned for the change. However, with the number of quiet cars increasing all the time, it said the 2021 deadline was too late. Geneva Motor Show: Electric cars no longer the exception?